Talk about a knock-out blow! 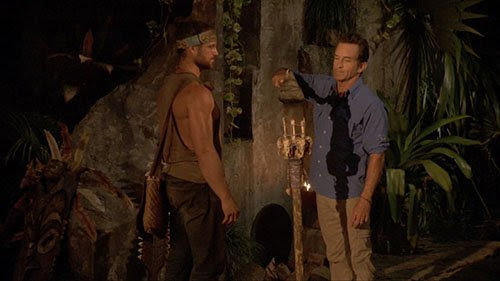 Pro-wrestler and self-appointed “Mayor of SlamTown” John Hennigan saw his torch snuffed at the culmination of this season’s best episode of Survivor yet. The best (and worst) part was, he – nor the audience – ever saw it coming. If you missed any of the action, you can catch up with our Episode 8 Recap, as well as checking out the Podcast below. Nobody embodied the title “Goliath” more than pro-wrestler John Hennigan. He was the biggest, the strongest, the most intimidating cast member this season, based solely on appearances. John quickly became a fan favorite mainly by being a really nice guy! He shed his “SlamTown” persona and quickly showed us all that you can’t judge a book by its cover, or a mayor by his muscles. Now I admittedly know nothing about his wrestling career. That aside, he became a memorable Survivor character all on his own. John had formed the “Brochachos,” an affectionate term he used to describe his alliance with Dan, and also Christian, the David that would escape John’s fateful Tribal Council. John appeared to be in a grat position heading into this week’s episode. He was not being targeted despite his strong social game, and the fact that he was clearly the biggest physical threat at a time when the game would begin featuring individual Immunity Challenges. When Mike decided he couldn’t trust Gabby, and in turn, Christian, he fired up the Goliaths to try to blindside John’s Brochacho. John himself predicted a “brochacho blindside,” never thinking that he would be the one to be sent packing. When all seven Goliaths put their votes on Christian, it seemed like John would see another day in the game. But Davie blew everything up. He played an Idol that nobody knew he had. He saved Christian, thwarting the Goliath’s master-plan. Little did anyone know, Davie – along with Nick and Christian – decided not to vote out the “easy” target Angelina, but instead they threw their votes to John, knowing there was no chance in Hell that anyone would be playing an Idol on John. Why would anyone? He was seemingly as safe as they come. But Survivor got all Julie Chen on us. It reminded us to “expect the unexpected.” John collected three votes and became the second member of the jury. 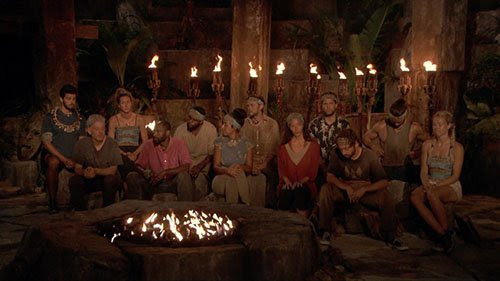 Ironically, as the first person on the jury, Elizabeth is known as the “Mayor of Ponderosa.” This means we have two “Mayors” waiting to cast their final vote for Sole Survivor. 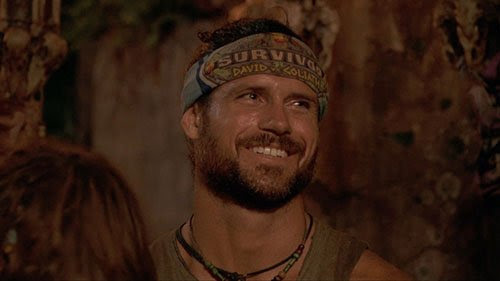 John Hennigan: I was surprised, no one knew Davie had an Idol. I thought that he was going to play it for himself at first even. But then when he played it on Christian, I was even more surprised. Then I knew that Dan was going to play his Idol to protect Angelina, based on who Dan is…he’s a loyal dude and he said he was going to to me, I wasn’t aware he was on the fence, it didn’t seem like that to me…so even after both Idols were played, I still felt for some reason that it was going to be a re-vote with 7 votes on Christian, 5 on Angelina. Until that first vote with my name on it was read, I kind of realized in that very moment, that I had gotten got, and that my one-way trip to Ponderosa was beginning. John: I think that’s an over-simplification. I was receptive to the idea and discussed the idea of voting out Christian with her in the previous episode. But at the time it seemed like, I don’t know, I really had gotten along great with Christian and Gabby…I really didn’t want him to go that first week. 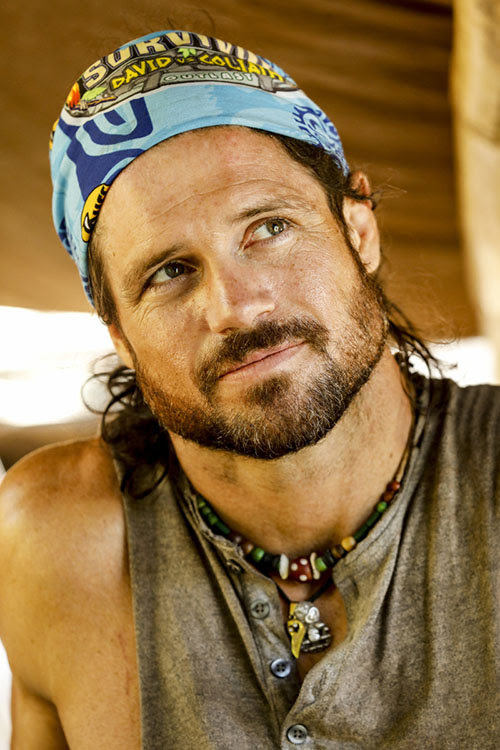 For much more from John Hennigan, including my full interview, please listen to the latest episode of the FilmSurvivor Podcast by clicking here. Remember! The next episode of Survivor: David vs. Goliath is next Wednesday, and be sure to check back here for my recap and reaction, as well as for my weekly podcast exit interview! Be sure to follow me on Twitter – @tomsantilli – and on Facebook, for all of the latest Survivor coverage, interviews, and movie reviews. 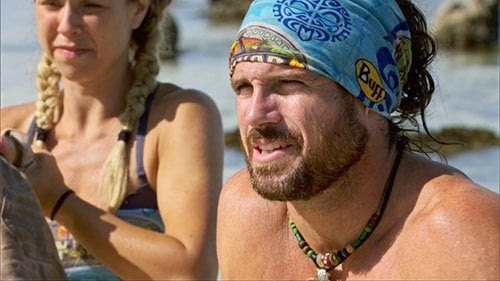 TELL US: WHAT DO YOU THINK ABOUT JOHN’S EXIT FROM SURVIVOR?